The interview below with Osama bin Laden was conducted by the Karachi, Pakistan, daily newspaper -- Ummat -- and published on September 28, 2001, 17 days after the alleged, but unsubstantiated, al Qaeda attack of September 11, 2001, on the World Trade Center twin towers and Pentagon. The interview was sensational. The alleged "mastermind" of 9/11 said that he and al Qaeda had nothing to do with the 9/11 attack. The British Broadcasting Corporation's World Monitoring Service had the interview translated into English and made public on September 29, 2001. Obviously, if bin Laden had outwitted not only the National Security Agency, the CIA, the Defense Intelligence Agency, and the FBI, but also all 16 US intelligence agencies, all intelligence agencies of Washington's NATO puppet states, Israel's Mossad, and in addition the National Security Council, NORAD, US air traffic control, and airport security four times on the same morning, it would be the greatest feat in world history, a movement building feat that would have made al Qaeda the most successful anti-imperialist organization in human history, an extraordinary victory over "the great satan" that would have brought millions of new recruits into al Qaeda's ranks. Yet the alleged "mastermind" denied all responsibility. I remember decades ago when a terrorist attack occurred in Europe, whether real or an Operation Gladio false flag attack, innumerable organizations would claim credit. Perhaps this was the CIA's way of diverting attention from itself, but it illustrates that every intelligence service understands the value to an organization of claiming credit for a successful attack. Although bin Laden denied responsibility, in 2011 some al Qaeda leaders, realizing the prestige value of the 9/11 attack, claimed credit for the attack and criticized Iranian President Ahmadinejad for questioning the official US story. Although only a few Americans are aware of the September 28, 2001 interview in which bin Laden states his non-involvement with the 9/11 attacks, many Americans have seen post-2001 videos in which a person alleged to be bin Laden takes credit for the attacks. There are two problems with these videos. 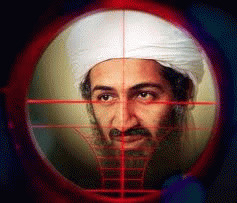 Experts have examined them and found them to be fakes, and all of the videos appeared after bin Laden was reported by the Pakistan Observer, the Egyptian press, and Fox News, to have died in mid-December, 2001, from lung disease. Also, see here. Obviously, a man suffering from terminal lung and kidney disease did not survive for another decade to be murdered by a US Navy SEAL team in Abbottabad. A Pakistani TV interview with the neighbor of the alleged "bin Laden compound" exposed the assassination hoax. This sensational interview also went unreported by america's "free press." I had the interview translated, and it is available here. Also, see here. Shortly after the alleged assassination, 30 members of the SEAL unit died in a mysterious helicopter crash in Afghanistan, and now we learn that not a single one of the thousands of sailors on the aircraft carrier, the USS Carl Vinson, witnessed bin Laden's alleged burial at sea from that ship. The press reports with a straight face that for unexplained reasons it was kept secret from the ship's sailors. This is supposed to be the explanation of the sailors' emails reporting to family and friends that they witnessed no burial at sea. Some speculate that the SEALs were bumped off before their questions to one another -- "Were you on that raid?" -- reached outside the unit. Apparently, it doesn't strike the media or the public as strange that the US government captured and killed the terror mastermind without interrogating him and without keeping any evidence or presenting any witnesses to support the assassination claim.